Criminalize Conservatism: Who Are These "Job Creators," Anyway? 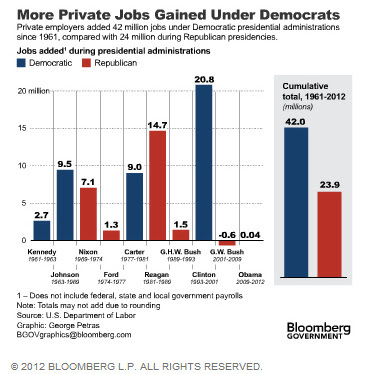 Who Are These "Job Creators," Anyway? We are constantly barraged by the Cons with the term, "job creators," and there's a reason: When Americans start to wonder if the billionaires are taking the food out of their mouths, the Cons need to turn their overlords into messiahs. "FBI: West Virginia exec lied about chemical spill to protect his fortune." Freedom Industries is accused of dumping a coal-cleaning chemical into a river eight days before filing for bankruptcy, shuttering local businesses for days. "A West Virginia executive has been charged with lying about his company spilling chemicals into the water supply that 300,000 drink from in order to protect his own wealth. "A criminal complaint alleges that Freedom Industries President Gary Southern committed bankruptcy fraud, wire fraud, and lying under oath in order to protect a $7.7 million fortune — charges which could place him behind bars for up to 30 years, according to the Associated Press. "FBI Special Agency James F. Lafferty II testified in a sworn affadavit that was filed in U.S. District Court in Charleston, W.V., that Southern downplayed his role with the company while on the stand in U.S. Bankruptcy Court in Charleston on several occasions. "Freedom Industries faces a number of lawsuits, both currently and possibly in the future, over claims that it spilled chemicals irresponsibly, which caused a wide-ranging tap-water ban to shutter the doors of numerous businesses for days..."
"1994 - Tobacco Company CEOs Testify Before Congress." "In 1994, United States Congressman Harry Waxman held a famous series of Congressional hearings. The presidents and CEOs of the seven largest American tobacco companies were subpoenaed to testify before Waxman's committee. On April 14, 1994, after more than six hours of sharp questioning by members of the House Energy and Commerce Subcommittee on Health and the Environment, the seven CEOs steadfastly refused to budge under stringent questioning that they knew cigarettes were addictive. Each stated under oath that they did not believe nicotine was addictive. "Within months, a perjury investigation was initiated by the Department of Justice. Ultimately, the Department of Justice claimed it did not have enough evidence to prosecute for perjury because the CEOs testified under oath that they believed nicotine did not addict people. Because they had used the word "believe," they could not be prosecuted for perjury." "The Best Government Wall Street and the Billionaires Can Buy." "The past few days have provided vivid evidence that the U.S. government has become a wholly-owned subsidiary of Wall Street and other wealthy special interests and no longer a government of, by, and for the people. "It's only five weeks since the 2014 mid-term elections which cost $3.67 billion. Fewer, but larger, donors provided those funds than in past elections. The candidate who spent the most money won their race House race 94.2 percent of the time. "Yet despite the colossal sums spent on campaign ads, how many candidates ran on a platform promising to let banks make risky, taxpayer-guaranteed bets on the kind of complex financial derivatives that tanked the economy in 2008 and led to the government bailing out the big banks while millions of ordinary Americans lost their jobs and their homes? How many ran on a platform promising to gut what's left of the McCain/Feingold campaign finance reforms and allow millionaires and billionaires to donate 10 times the current limit to political parties, up to $1,296,000 a couple in a 2-year election cycle? "The answer, of course, is that almost no political candidates ran promising to enact such disastrous policies. 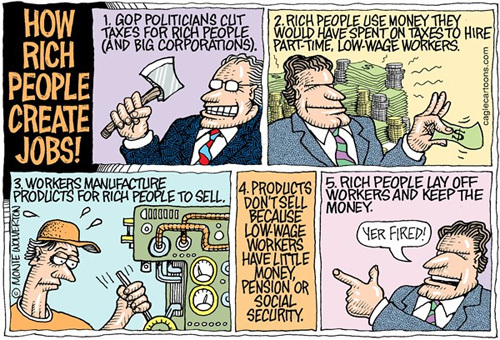 And hardly any voters went to the polls hoping that their elected representatives would do these things..."
But here's the truth about the GOP "job creators." "Sh*t CEOs Say: 6 Outrageous Statements from America's Big-Mouthed Overlords." "America's corporate chieftains are pretty bad at regulating their mouths. "The sh*t CEOs say! When the chiefs of giant corporations are not blaming others for their mismanagement and unscrupulous behavior, they’re explaining why their distorted worldviews are best for the 99 percent. They do this, of course, at a time of declining national median income and huge paydays for executives. "Here are a few of the most out-of-touch and out-of-line oracles made by American CEOs, a mix of recent gaffes and classic blunders. "Mayo: I think what I hear UBS saying in the presentation is that if I'm an affluent customer I'll feel a lot better going to UBS if they have 13.5 (percent) capital ratio than another big bank with a 10 percent ratio. Do you agree with that? "Dimon: You would go to UBS and not JPMorgan? "Mayo: I didn't say that. That's their argument. "Dimon: That's why I'm richer than you. "The mystery of Dimon’s riches solved! Dimon became 1 percenter extraordinairre because he operates in a lax regulatory climate that lets him get away with low capital ratios..."
The person most responsible for cementing the "job creator" falsehood in the minds of the Low Information Voter and other morons was Rush Limbaugh, though the rest of the "job creators" propagandists jumped on board the Conservative bandwagon. 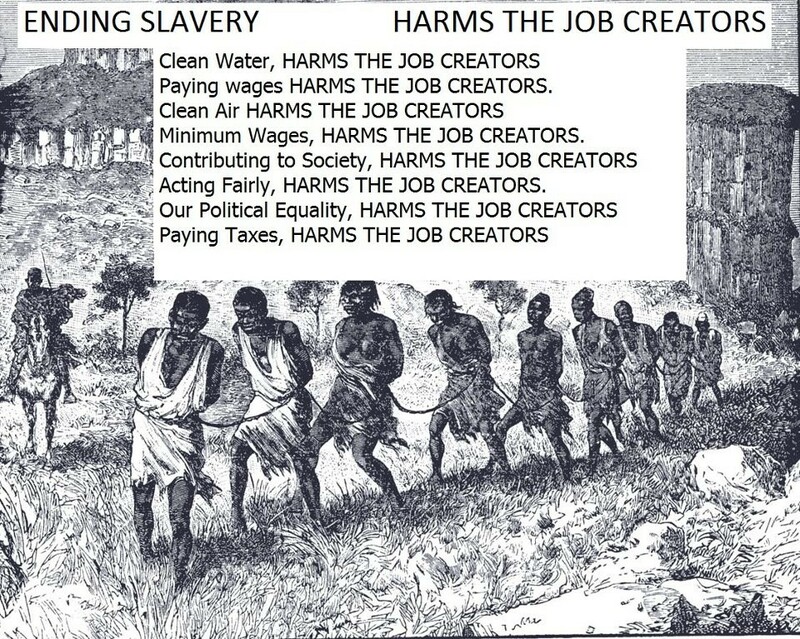 "Job creation" is about the conspiracy to increase the wealth of the billionaire ubers and protecting their assets, even if it drives the middle class into poverty - BECAUSE THAT IS WHAT THE BILLIONAIRES WANT AND THAT IS WHY THEY STARTED THE WAR AGAINST THE 99 PERCENT OF US...IT'S CALLED "CLASS WARFARE." Now that we know what the Conservative "movement" is all about, isn't it time to criminalize Conservatism? terms of the rich and poor."